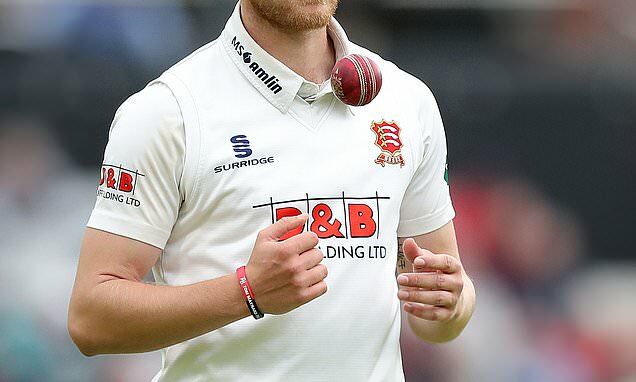 Daily Mail UK – Jamie Porter and Simon Harmer bowled defending champions Essex back into their opening Specsavers County Championship match of the season after they were skittled for 150 inside two sessions by Lancashire’s seamers. A total of 127 wickets fell on the opening day of nine matches across the two divisions on Friday with 18 coming at Chelmsford. Porter and Harmer, who shared 147 wickets in Essex’s title triumph last year, claimed four apiece to put the brakes on Lancashire as the visitors finished nine runs behind with two wickets remaining. Lancashire’s Australian seamer Joe Mennie earlier took three for 52 as the heart was ripped out of the Essex batting in just 50 overs, with Graham Onions, Tom Bailey and Jordan Clark chipping in with two wickets each. In Division Two, Aiden Markram was dismissed for two ducks on his Durham debut as a staggering 21 wickets fell on day one of their meeting with Kent at Chester-le-Street. New Zealander Matt Henry was the star with the ball for Kent and he dismissed Markram for a second time with six overs left in the final session to take his sixth wicket of the day as Durham were left trailing by 65 runs.